Business View Magazine interviews Donald Clarke, President & CEO of Clarke Products Inc. as part of our focus on domestic manufactures of cast polymer products. 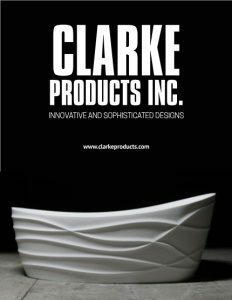 Clarke Products, Inc. is a privately-owned, bathing product company that designs and manufactures innovative and sophisticated showers, bathtubs, sinks, wash basins, and whirlpool products in its 210,000-square-foot facility in Waco, Texas. 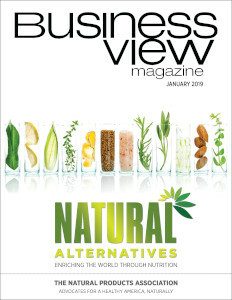 Recently, Business View Magazine spoke with Company President & CEO, Donald Clarke, who talked about the firm’s beginnings, as well as its evolution into the country’s premier manufacturer of acrylic and solid surface bathing products. The following is an edited transcript of that conversation. BVM: Can you talk about when you started Clarke Products Inc., and how the company has grown since then? Clarke: “I bought the assets of a bankrupt company in 1984. Prior to that time, I had run sales and marketing for Jacuzzi Corporation. So, I was exposed to the whirlpool bath business at Jacuzzi, when I decided to start my own company. “I had sensed a need for a more affordable product in the therapy tub area. One of the things I had learned and observed at Jacuzzi was that even though Jacuzzi was this recognized name, it was incorrectly recognized as anything that had swirling, pressurized water; it was not associated with a company. So, I reckoned that there was an opportunity for other brands to exist other than the big guys that were dominating the business at that time. “The whirlpool business was growing rapidly in the mid-‘80s. There were several other companies that did the same thing, so my entrance into the business was not necessarily, or exclusively, oriented toward whirlpool baths. Unlike most of my competitors, I did not refer to ourselves as being a ‘whirlpool bath’ or a ‘therapy tub’ maker, but just a maker of products, because I didn’t know what the future would bring and I wanted to have a mental flexibility going into this venture. “We started operations and went through the growing difficulties of a brand new company. The assets of the company I bought had no add-on customers from their legacy; we didn’t get any of their business, so everything we did was from scratch – dealing with new customers, new products – and the first few years were pretty tough until we got going. We were well-financed, though, from the very get-go; we had venture funding so we were able to handle the negatives of the first few years. “The business grew over the years. In the early ‘90s, we began targeting private label OEM customers; we did a lot of private label work in those early years and still do, today, and it represents a significant part of our business. The industry developed in different ways, but that was a direction that we elected to take. And even though we’re the largest maker of acrylic tubs in America, a lot of people don’t recognize us as a company because we are behind so many other brands. 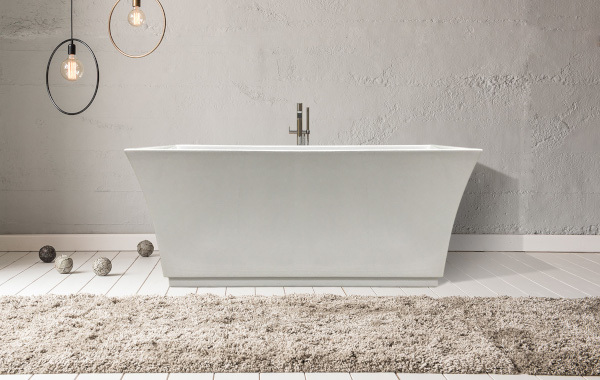 We made tubs for Whirlpool Corporation, DuPont’s Corian Division, and a lot of other manufacturers that have been acquired by other firms, such as Eljer, which is now part of American Standard. So, we continued on in the private label sector and that still represents the majority of our business with the somewhat hidden Clarke name. “That business grew for us in the ‘90s and into the early 2000s, and continued to grow up until about 2009. Then, there was the recession and that had an adverse effect on the housing and remodeling industry. Our business took a dramatic drop, as did most of our competitors, and it took a number of years to stabilize. The effect of that recession was dramatic and long-lasting, but we’re finally coming back to volume levels that we had observed before 2009. “In 2014, we established a new division in the company called Clarke Architectural, and this was devoted entirely to solid surface products, which are different from the acrylic products that defined us up to that point. Solid surface is, essentially, a cast product – the closest similarity would be Corian. It’s a resin, filtered with different kinds of filler like aluminum tri-hydrate, in our case, poured into parallel molds and cured with catalysts, and then further cured and matured with heating ovens. This was a relatively small segment, but it was not well-populated by competitors. BVM: What characteristics differentiate Clarke Products Inc. from its competitors? BVM: Has anything occurred recently, or planned for the near future, that will impact the way Clarke Products Inc. operates? Clarke: “We have, in the last few years, particularly since the advent of the solid surface division, been doing a lot of project work around the country, particularly on the east coast and Mexico. And we are finding ourselves making unique, and usually a large number of products for projects. That entry into the project-driven business has forced us to stretch ourselves beyond the regular products we make and to build some additional features to satisfy some unique demands from our customers. Sometimes, it’s pretty frustrating, I must say, but, at the same time, we learn from the experience; we learn from the challenge. And we probably are doing things the rest of the people in this industry aren’t even thinking about doing. We have a head design engineer and a structural engineer on staff, so we’re able to engineer, design, and manufacture product that others cannot. We also use some independent designers, off-staff, on a job-to-job basis, as needed. So, we have the ability to bring in some divergent viewpoints on products and projects. BVM: What’s the long-term outlook for Clarke Products Inc.? Clarke: “We intend to continue to grow our business. We see substantial growth coming in the solid surface area, and we are looking at doubling ourselves in the next 24-30 months. And a lot of that growth will come in solid surface, and that’s based upon new business coming in all the time. We have a substantial backlog, right now, that is maturing and will develop in the next two to two-and-a-half years. Check out this handpicked feature on Wakunaga of America – Garlic is the key.